Google is expected to release its latest tech advance to general audiences later this year: the wearable computer. It’s basically a mini android computer mounted on an eyeglass frame, which allows the wearer to project a computer “screen” onto his or her field of vision. Glass users can ask for directions, translate a conversation in real time, take photos or videos, chat, or look up information on the go via voice commands to their headset. All of this is possible with a smartphone, obviously, but Google Glass is taking the next step toward integrating technology into our everyday interactions with the world. The product has not been released to general audiences yet, but “Glass Explorers,” a group of people chosen to test Glass before their release, have been experimenting with them for about a year now. Among the Explorers are educators and artists whose innovations give us insight into the future of thinking and learning. Artist David Datunas’ “Portrait of America” contains over 2000 lenses arranged across a 12-foot American flag, each of which covers a tiny portrait of an important American. Datunas then used GPS locators to sync each of these images with added content, “so that when a viewer slips on Google Glass, and directs his gaze at a particular part of the flag, the device begins to play one of more than 50 video or audio clips—Barack Obama’s famous speech commemorating the 50th anniversary of the March on Washington on the steps of the Lincoln Memorial, a clip of an early Tom and Jerry cartoon.” (SmithsonianMag.com). Viewers can also interact with the art by saying something relevant, such as the name of one of the people featured, which will cue additional content. (Read more about the exhibit here). This new device may not immediately change the landscape of art, but as this exhibit shows, it has the potential to help viewers personalize their experience and interact with pieces in an entirely new way. 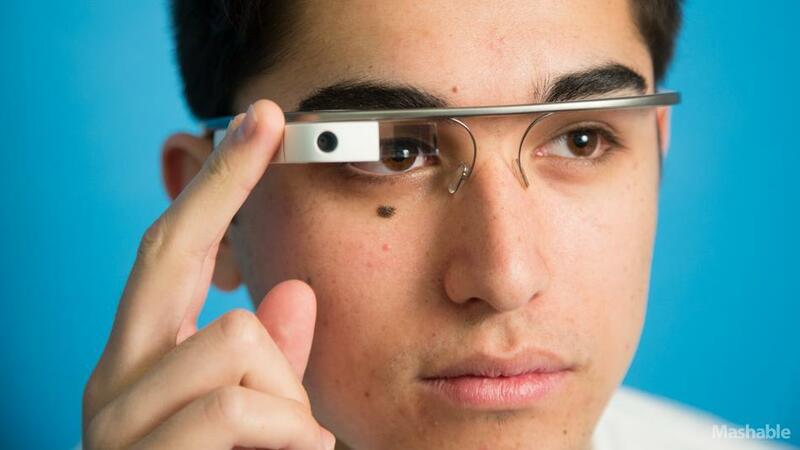 Google Glass makes it possible to follow your own train of thought, taking a piece of information or idea sparked by the art and linking it to web-based content through a unique, viewer-led path. There seem to be obvious implications for learning and the classroom. How does school change when students can look up information with the simplest voice command? Or when they can snap photos or videotape what they’re learning instead of taking notes? What happens when teachers can see class (literally) through the eyes of their students? 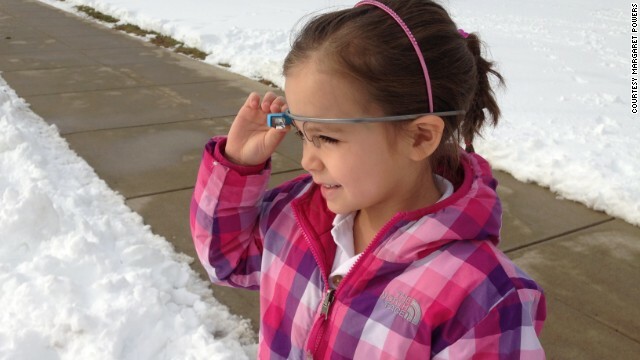 Margaret Powers, a lower-school technology coordinator at the Episcopal Academy in Newtown Square, Pennsylvania, has been investigating these questions and recording her inquiry on her blog site: http://365daysofglass.com/. Right now, it seems that most of Powers’ experimentation is with the video and photo features of Glass, and her blog site is full of short, fascinating clips of kids sharing their work or thought process via Glass recordings. This week, as we discuss critical thinking in the classroom, it’s helpful to keep our eyes on the future. Increased access to information and increased connectivity challenge us to consider the types of thinking and knowledge kids will need as they grow up in a rapidly changing tech-rich world.